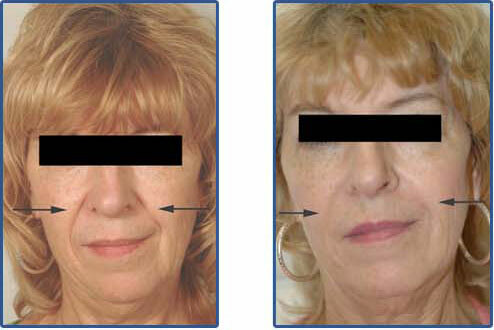 At Celibre Medical, we take the art of filler injection very seriously. We understand the careful balance of anatomy and aesthetic beauty that’s necessary for you to look your best and love your results. We always encourage you to learn as much as you can and ask any and all questions about your treatment before having injections. We will discuss your areas of concern and choose appropriate products to give you long lasting results that look both natural and beautiful. We want you to understand and your treatment and play an active role in planning it. We are your personal, educational resource available to you at any time! During treatment, Restylane products are injected through a very small needle and placed in precise amounts in areas that need more volume. Treatment can and will involve multiple injections, but we will try to minimize the number if at all possible. We will use numbing cream and ice to help enhance your comfort. We thoroughly cleanse the areas to be treated to minimize any risk of infection. We want your experience to be as pleasant and comfortable as possible. We are happy to help you decide if Restylane is the right choice for you and walk you through your treatment plan at a free consultation. What are you waiting for? Please give us a call today!